Relatively few qualify for university in Switzerland. To apply you need to score well in school exams at the age of 11 or 12, enter the academic stream and graduate from it, normally at the age of 19. In 2015, only 20.8% of Swiss-based school leavers gained the chance to apply for entry to a Swiss university. In many countries anyone can apply. 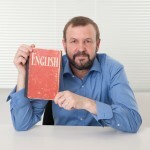 In the UK for example it is possible to apply to university without any school qualifications. School results are typically taken into account, but it is final-year A-levels that all school pupils can take that are used to decide who is accepted. 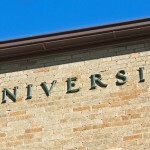 The Guardian newspaper reported that even in the complete absence of A-levels or equivalent qualifications, some universities are prepared to accept life and work experience as an alternative to formal education. The percentage of Swiss qualifying for university varies significantly by canton. If you live in Italian speaking Ticino, Geneva or Basel City and dream of academia, then you are luckier than most. At around 30%, these three cantons had the highest qualifying percentages in 2015. German-speaking cantons in general had much lower rates. The lowest chances of qualifying were found in St. Gallen and Thurgau where less than 14% qualified in 2015. The cantonal percentages are revealed when you hover over the map below. or by clicking here. In the French-speaking canton of Vaud 11 and 12-year-olds are assessed via numerous tests across the course of a school year, which are scored on a scale from 1 to 6 – the best. To qualify for the academic stream, known as the voie prégymnasiale, pupils must get a combined total of 20 points across 4 core subjects: French, Maths, German and Science, and a combined total of 13.5 in geography, history and English (English is included from next year). The final grade is a composite of the test results across a whole year so a few low results can be pulled up with high results later. The marking is hard though. Sometimes a test result of 38.5 out of 40 won’t deliver the maximum grade of 6 in a test. In Vaud missing the cut at the age of 12 does not close the academic door entirely. It is possible to get in later. Doing so however requires extra work, improved grades and sometimes an extra year at school. In 2015, 28.7% of Vaud school leavers (up to 25 years old) gained a maturité gymnasiale, the university entrance qualification. In Geneva the system is slightly different. At the age of 11 or 12 pupils need to achieve a grade total of 14 over Maths and two French subjects to get on the road to university. The grading is similar to Vaud with test marks from 1 to 6. If a student misses out they get another chance the following year but must average 5 or more and achieve high minimum grades in Maths and French to move stream. Even then movement is only allowed from some streams. Zurich has a different system again, equally challenging if not more so. Only 19.7% of Zurich-based school leavers qualified for university in 2015. Every Swiss canton is different making it challenging to move children from one part of Switzerland to another at critical points of their schooling. Private schools are different again to the Swiss public system. Certain things seem to improve the chance of getting on the road to university in Switzerland. National statistics show that being Swiss and having academically educated parents helps. 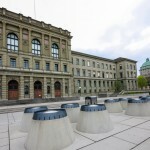 A recent study shows that 84% of those in the academic stream were Swiss nationals born in Switzerland, despite making up only 80% percent of the school population. In addition, children with at least one parent with a tertiary degree made up 62% of those in the academic stream, while only making up 36% of the total school population. Girls do better than boys, making up 56% of the total. Some of the difference between Switzerland and the rest of the world hinges on the definition of university. Places like the UK use the label more freely. Switzerland uses it relatively less so. A comparison of graduates from all tertiary education highlights this. A 2013 comparison shows 48.5% graduating with some form of tertiary education including university degrees in Switzerland, slightly behind the OECD average of 48.9%. The UK on the other hand manages only 32%. It might be difficult to get into university in Switzerland but many of those who don’t end up getting tertiary training somewhere else. The US had a rate of 53.8%, only marginally higher than Switzerland. The Swiss statistics office comparison chart shows Germany (36.2%), Italy (34.5%) and the Netherlands (45.1%) all behind Switzerland. Switzerland appears to do well at matching graduate skills to the job market. A far higher percentage of Swiss end up in a job that matches their training. Swiss unemployment also compares well to many other nations. British unemployment in October 2015 was 5.2%, while in Switzerland it was 3.3%. Switzerland compares even more favourably on youth unemployment. Can’t find time to improve your French? Check out time flexible courses at Swiss French School. Brilliant and exhilarating title, shows the depth, knowledge and insight of some journalists…. But I guess this was meant to be published in the Daily Mail! – I find it particular that there is no signature on the article, but then it might have been written by a PR firm on behalf of a private school association. The writer got a few things right though, but it gives a totally wrong perception of this particular reality. All things said though, there is a general tendency worldwide for academic inflation but this has been kept low in Switzerland, though I can already see that with many friends of mine who have foreign experience, this is changing. This is very sad because over the years the system as we have it in this small country has proven to be very successful. In addition, many bridges are offered to people who wish to pursue higher studies and this at a reasonable cost. What I find very pragmatic is to begin at this very early stage (14-15), a period in life where the learning curve is very steep and where expectations are quite low, something quite important when learning. Once the ideas become clearer, the person always has a fallback and eventually a choice to go further. In addition, it teaches all the very basics of interdependency among generations and specialities, something at the basis of all social relationships in the work environment. In any case this system is highly regarded and has nourished many interest by foreign nations over the past years. But the biggest misunderstanding comes from the fact that this is a joint partnership between state and companies. A company agrees to take an apprentice, giving him a very low stipend for the work he performs, and after the four years of training is willing to send that person to the competitor… In most cultures this is not understandable. Why would one train somebody for him or her to then leave? — Well, this very same company will receive the apprentice from his own competitor or another similar area, fostering knowledge and experience exchange, therefore increasing the general level of quality. A clear win-win situation. I absolutely agree with Srenim. What a title! It distorts the reality of the situation. Moreover, some arguments in this article are completely beside the point. Why single out Switzerland as a country where more nationals go to university than foreigners when that is likely to be true of the vast majorities of countries in the world? Same comment about the fact of pointing out that 2 thirds of the students have parents with university degrees. What has this got to do with the Swiss system? Finally, I find the article rather incomplete since it omits to comment on the quality and the recognition of the system of apprenticeships in Switzerland. Indeed it produces squilled professionnals in all fields, instead of focusing solely on those possessing a tertiary education, which is, in my opinion, the mistake committed by too many countries. 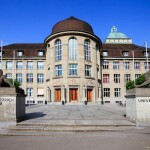 I think what is interesting is that many local Swiss parents in Zurich are keen to deny university is important at all. The pride in the vocational system and the fear of being branded a swot at school combine to create a demure culture in which ambition is slightly frowned upon. But what a pity if children are told universities are only for boring academics, where are the teachers aspiring to realise every child’s potential and not under-estimating children?